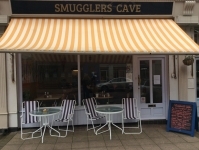 Today's reason to be cheerful is: I really enjoyed my lunch in a local cafe - the Smugglers Cove in New Brighton. Good food served by a very nice owner. ProActive provides small businesses owner with everything they need to get more sales, get organised, save time and grow their business. Click here for a free 30 day trial. ProActive is an easy-to-use online system based on the proven highly effective daily habits of succesful business people. ProActive includes everything you need to generate more sales, get organised and reclaim lost time.